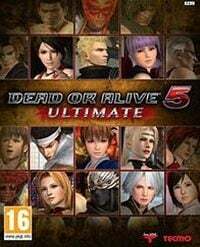 An expanded version of Dead or Alive 5, the arcade fighting game developed by studio Team Ninja. The title introduces with new game modes, arenas and characters. One year after the premiere of the basic fifth part of the Dead or Alive series, Team Ninja prepared a new version of the game, enriched with new gameplay modes, arena (Sky City Tokyo) and characters. All in all, Dead or Alive 5 Ultimate contains well over twenty playable warriors, without forgetting any of the most recognizable characters. The game features Ryu Hayabusa and Momiji from the Ninja Gaiden series, beautiful ninja warriors Kasumi and Ayane, Tina wrestler, crazy Zack, and several debutants. Traditionally for the series, the combat system is an extremely dynamic combination of aggressive support of the enemy to the wall and the capture of blows directed at individual parts of the body: upper, lower and intermediate. Dead or Alive 5 Ultimate features incredible duel dynamics and fantastic graphics. The game also features the famous breast physics of warriors, which is one of the hallmarks of the whole cycle. According to the spirit of its predecessors, there were many multi-storey arenas, allowing attacks dropping the enemy deep into the abyss or falling down the stairs. Dead or Alive 5 Ultimate once again bets on multi-level, beautiful arenas scattered all over the world, full of objects that are destroyed during combat. The authors have prepared several game modes, not forgetting about online duels. The Ultimate version also features all the news (Tutorial, Combo Challenge) previously available in the mobile version of Dead or Alive 5 Plus on PlayStation Vita. In the single player mode, there is also a mode with elements of the plot and the final boss. Each character has a few to a dozen or so outfits to unlock, thanks to which even loners will be able to appreciate the production of Team NINJA.